In a rapidly changing world, the future lies in a knowledge-driven economy. To this end, TUA brings together the strengths of the knowledge institutions in West Flanders. 2. 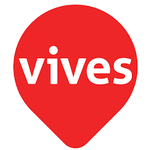 Making knowledge more readily available to the economic fabric, companies and especially the many SMEs in the region. As an external agency of the Province of West Flanders, TUA West acts as a liaison between partners from various industries and civil society. The triple helix model establishes links between companies, knowledge institutions and governments. TUA West's activities focus on the topics of the various knowledge sites identified in West-Flanders: Blue Energy, Machine Building & Mechatronics, New Materials, Nutrition and the Care Economy. 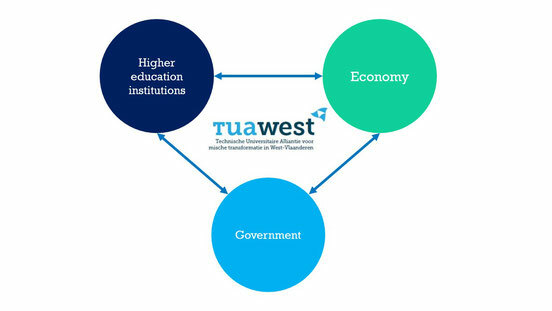 In this way, TUA West, as a private foundation, supports the ambition of the Province of West-Flanders, summarized in West Deal, and the Europe 2020 strategy for a smart, sustainable and inclusive growth in the European Union.